Excellent for marinating or basting all meat products, stir frying vegetables, as well as making jerky, salad dressings, dips and many other food products. Welcome to GAMMS. We have a new look! We are so excited. Please take a moment to roam around our new website. Most people cook and are always searching for something to make their meals exciting and taste good. However, they do not want to spend a lot of time making it happen. 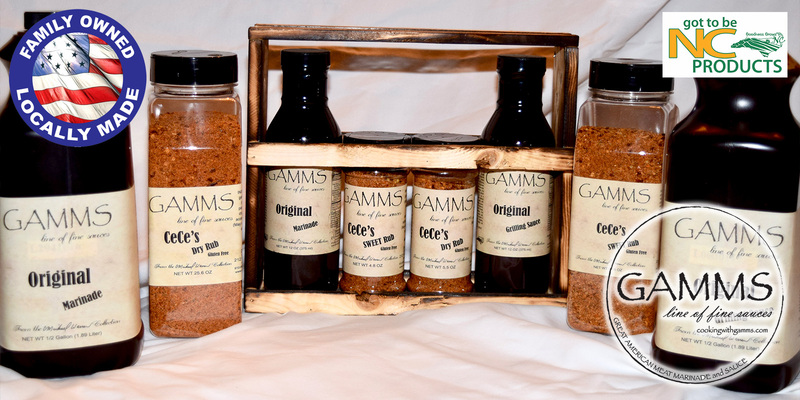 Whether using the skillet, slow cooker, grill or oven bake, our GAMMS Sauces and Rubs will help transform any cut of meat and fresh vegetables into a flavorful delicious meal. Having a dinner party? Try some of our recipes from the grill or a slow-cooked pork or beef tenderloin. Make a vegetable dip using our Cece’s Dry or Cece’s Sweet Rubs. Your guests will be impressed. Not everyone has the same likes in sauces and rubs. You will find that our sauces and rubs tastes a little different on each type of meat; pork, chicken, steak and seafood. You will want to use them all the time. Our appetites are created by visual appeal and aroma. Our GAMMS products help with both. You can look on-line and find a recipe to make your own sauce or rub. Let us help. Why would you want to make your sauce or rub from scratch when we have done the purchasing and mixing for you? It saves time and money. And it tastes great! GAMMS is a family business and bottled locally. We are a member of the Goodness Grows in North Carolina. Thank you for looking at our website. We hope you have found something helpful in a blog, our family or recipe section. Please visit local stores where GAMMS is stocked. If you do not find it there, ask the manager to please stock it and give them our contact information. You are always welcome to use our website to place an order. We are here to help you. Greg and Michael are pretty good at grilling and smoking meats. Sherri does a lot of cooking in the slow cooker and Cecelia, well, she is an old fashioned cook that sparks her dishes with a dash of Cece’s Dry or Sweet Rub and tries new recipes. Call or email us. We would love to hear from you. The GAMMS family (The Warren’s). 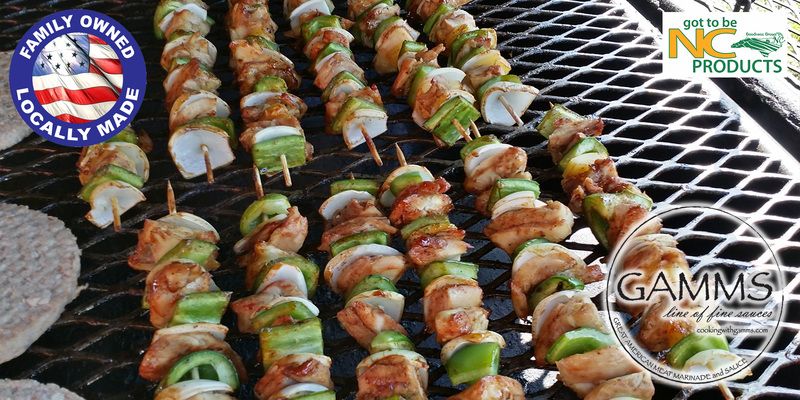 Sometimes our Original Marinade and Grilling Sauce are referred to as barbecue sauce. 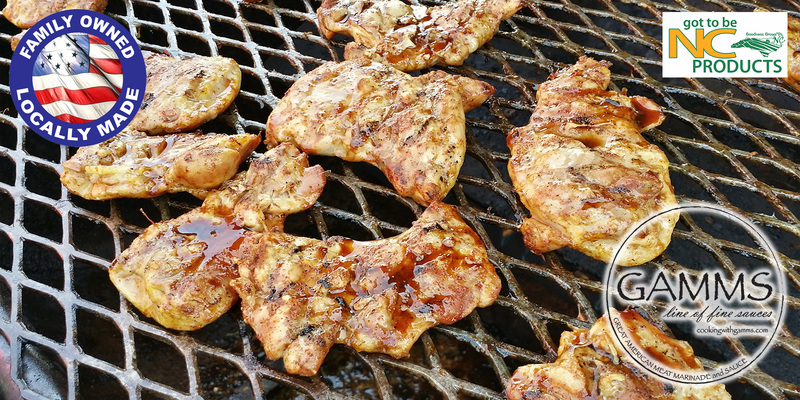 Both our Marinade and Grilling Sauces are not vinegar and pepper based or tomato based, they have more of a teriyaki flavor. The two sauces taste the same; the Grilling Sauce is just a little thicker to help it adhere to the meats and vegetables while grilling. What all started with a single sauce has turned into two sauces, all made with quality ingredients. We began with the Marinade to make deer jerky. After trying it on beef, pork and chicken, we decided it was more than just a Marinade for wild game. Wanting to use it on the grill, we added a thickener so the sauce would ‘stick’ to the meat. The Grilling Sauce was born. Some of our customers liked our sauces, but wanted something with a little more kick. So we do have a Hot version of our Marinade. You can make a special request for this product. You do not have to marinade your meats for a long period of time. We grill chicken thighs and 4 oz. 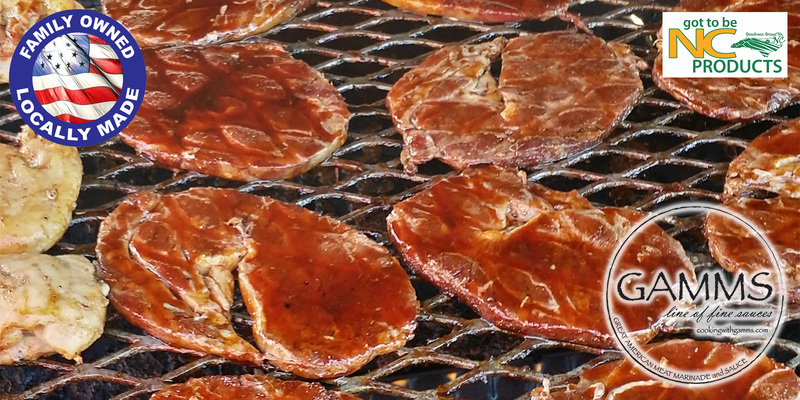 ribeye steaks at local festivals. When it is time to flip them, we dip them in the marinade/grilling sauce and cook them on the other side. We refer this to the ‘dip and flip’ method. However, you may want to marinate your steaks while you are at work so you can cook as soon as you get home. 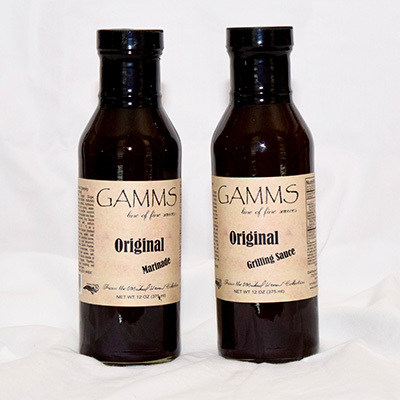 It is perfectly fine to put your steaks along with the GAMMS Marinade or GAMMS Grilling Sauce in a zip lock bag before you go to work and take out as soon as you get home. They taste great either way. Our Cece’s Dry rub and Cece’s Sweet rub are a perfect blend of spices to make any meat and vegetable taste to excellence. It does not overtake the fresh taste of the vegetables, it enhances the flavor. Both rubs tenderizes the meats. 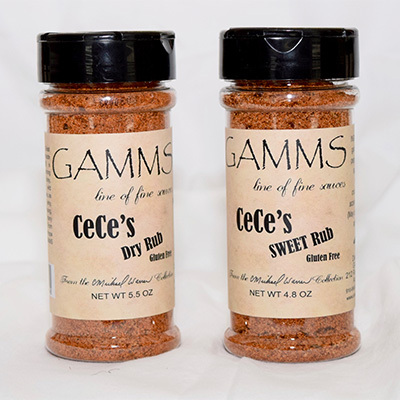 The difference in the two rubs is a little brown sugar was added to the Cece’s Dry Rub to create Cece’s Sweet Rub. The Sweet Rub is not overly sweet; the sugar just cuts the salty taste. Starting with a good rub makes any cut of meat a little more tender and flavorful. Enhance your vegetables by tossing them in Canola oil or Olive Oil and sprinkle the Cece’s Rub on them. Bake or sauté. We use the Cece’s Dry Rub and Cece’s Sweet Rub interchangeably. We also use our Cece’s Rubs to season oyster crackers or the Mini Premium Saltines. Just add 3 ounces of oil [Canola or Olive] to 1 box of crackers in a bowl. Stir crackers until completely covered with oil and add 2 tablespoons of the Cece’s Sweet or Cece’s Dry Rub. Mix again until all crackers have some seasoning. Store crackers in a closed air-tight container. They stay fresh for about 2 weeks. Our rubs are especially desirable when you want to make an impression with the perfect cut of meat and fresh roasted vegetables.